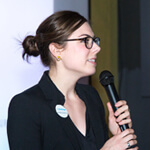 The Let’s Detroit site, which launched in September 2018, provides job seekers with more career and lifestyle information specific to metro Detroit. 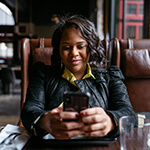 The Let’s Detroit campaign also brings with it the first-of-its-kind Text a Detroiter program. Read more to find out why it is important to go beyond marketing to help candidates and hires make lasting connections to their new community. 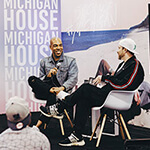 Michigan House is a public-private partnership that serves as an “experiential embassy” at SXSW by promoting Michigan’s career and lifestyle opportunities and the state’s signature attractions. 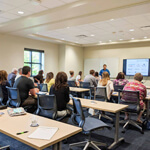 Now, its talent attraction and retention emphasis are increasing as the event’s power to improve perceptions of the Great Lakes State and attract “new collar” job seekers have become more evident. For 2019, more than 40 organizations statewide — about 15 of which are from West Michigan — are part of the program with their sights set on recruiting and raising awareness of their organizations. Sit down for a conversation with any business person in West Michigan and the talk will inevitably drift toward talent — why there isn’t enough of it, where to find it, how to court new workers to the area, and why so many of our youth leave. Continue reading to learn more from Cindy Brown. 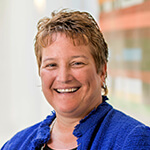 She serves as Vice President of Talent Initiatives at The Right Place and collaborates with other talent related organizations to address regional talent pipeline challenges. 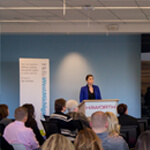 Rachel Bartels, Executive Director of Hello West Michigan, speaks about the organization’s upcoming Annual Meeting. The Annual Meeting updates the community on Hello West Michigan’s talent attraction and retention efforts. 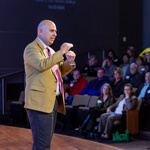 First Sgt, Ret., Matt Eversmann, will be discussing veteran hiring and retention at the event. The membership-based talent recruitment agencies Lets Detroit, Hello West Michigan, Ann Arbor Spark, Southwest Michigan First and Lansing 501 provide marketing and consulting support toward the effort, including sharing information about job openings, candidate information and resumes. These groups are partnering with Michigan House to attract talent to the State. 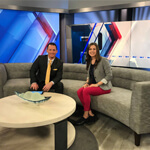 Hello West Michigan’s Executive Director, Rachel Bartels, talks to Fox 17 about the organization’s upcoming Annual Meeting on February 26 at Davenport University. View the news clip and learn more about this event. On this episode of Michigan Women, host Meghan Bunchman sits down with the new Executive Director of Hello West Michigan, Rachel Bartels. The two talk about choosing the right college, giving back and how to connect those moving to Michigan with local jobs. 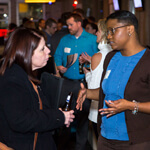 Getting people to come to work in Grand Rapids is the main priority for Cindy Brown, now vice president of talent initiatives at The Right Place Inc. Brown previously served as executive director of Hello West Michigan, which promotes the region as a good place to live and work, but she transitioned to the full-time role at The Right Place to tackle persistent talent issues. Hello West Michigan has become a model for what a successful talent attraction organization can be, according to Rachel Bartels, and that is why she is thrilled to become its next Executive Director. 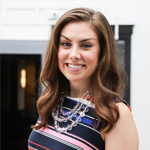 Her goal, beyond working with what she describes as “an amazing team that I’m now privileged to lead,” is to educate, attract, and connect people to West Michigan. A local talent attraction organization looked within to find its next executive director. 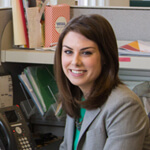 Hello West Michigan, a nonprofit that promotes the region “as a place where business thrives and people want to live and work,” said last week it promoted its former program manager, Rachel Bartels, to the role. Hello West Michigan, a Grand Rapids-based talent attraction organization for the state’s west side, has selected Rachel Bartels to lead the nonprofit as its new executive director. She replaces Cindy Brown, who is exiting her post to serve full time as vice president of Talent Initiatives at The Right Place, a Grand Rapids-based economic development agency, according to a news release. Local partners are hosting a career event to attract former West Michiganders back to the region. Shelley Irwin talks about this ReThink West Michigan event with guests from Hello West Michigan, Cindy Brown and Rachel Bartels. 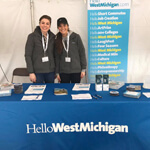 Hello West Michigan is noted as, “a world-class platform for talent attraction and retention.” Scroll down to the segment “New campaign attracts talent to Motor City…” and click Listen. Hello West Michigan is mentioned at 8:36.